The Boston Medical and Surgical Journal in July of 1923 reprinted “The Boston Tins,” Cushing’s address at the unveiling of the plaque. In it he described the two approaches necessary for one to convalesce from the devastation of war: forgetfulness—and remembrance. 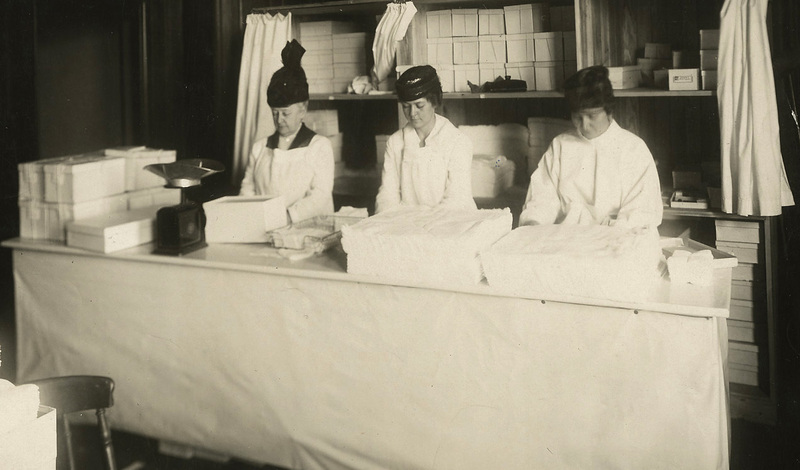 We know much about the things done by the women of the Surgical Dressings Committee and of Cushing’s efforts to memorialize them, from the letters, receipts, and recollections assembled and bound in a scrapbook by Dr. Cushing himself. In 1972, someone doing a closet cleaning in a hospital conference room found and discarded the dusty volume. Luckily, an observant surgical resident, recognizing its historic value, rescued it from the trash. 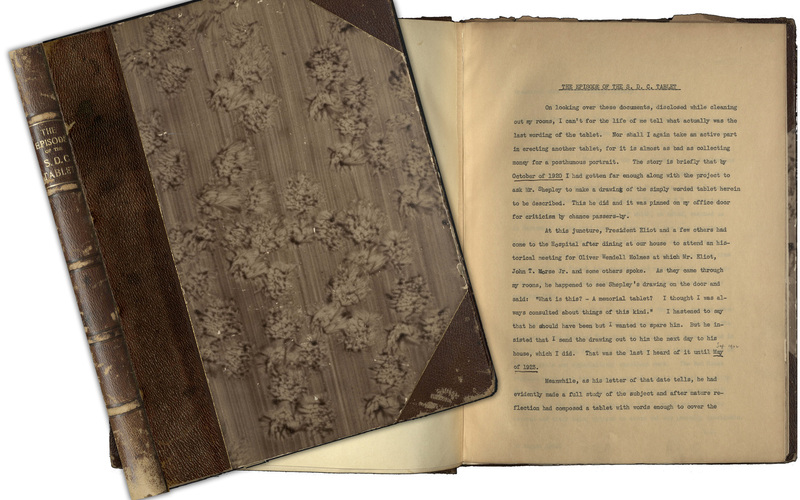 He recently donated the scrapbook back to the Brigham and Women’s Hospital for the Archives. 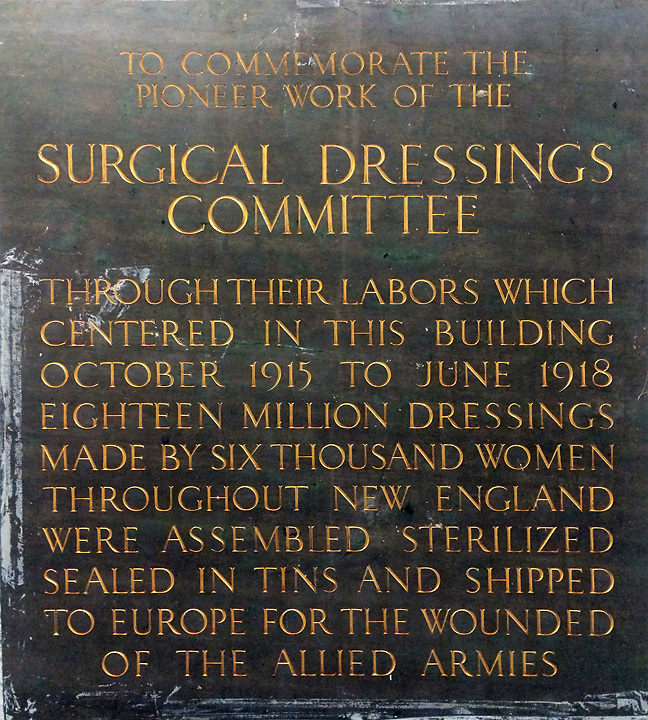 The 100th anniversary of the “Great War” seems an opportune time to be reminded, thanks to the plaque and the scrapbook, that the name, Brigham and Women’s Hospital, reflects a legacy, not only of caring for women patients, but also for the historic service of its women staff and volunteers.